At one point or another everyone searches for an escape from their busy life. An escape from work, family, technology, friends, obligations. An escape from the harsh reality of the real world. And the promise of escape from my whining child – even a short-term one – is what drew me to this book in the first place. This is the story of 32-year-old Emily – wife of James, employee of Lane Lavash, and a woman who dreams of becoming a mother. 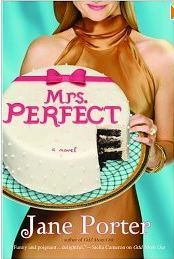 Emily thinks she’s living the dream in New York City until one day she realizes that there’s nothing perfect about the “perfect life” she’s been living. At this realization Vicki suddenly has an overwhelming need to get away from it all. So she does. She packs a bag, bundles everything into her husband’s flashy sports car, and takes off to reconnect with old friend Vicki Bell in a small New Hampshire town haunted by memories of an old life and an old love. Emily keeps in minimal contact with her mother and her husband James but otherwise has no desire to maintain even a shred of her previous life. She has no plan – aside from having no plan – and decides to play everything by ear. And when Emily’s old love Jude comes onto the scene Emily is tested: as a wife, as a friend, and as a human being. 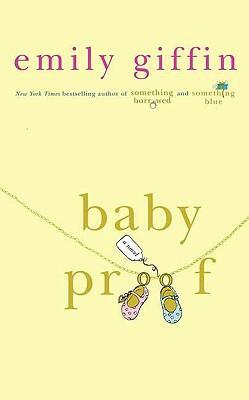 I wanted to love this book – I really did. The compelling summary on the book jacket made it seem like something I would love! But while this book started out with great promise it sort of stopped moving forward a few chapters in. Throw in some very strange metaphors – including the parallel of a man and a coyote and I couldn’t force myself to read one more word about 50 pages in! Bottom Line: This is the first of Barbara Delinsky’s books that I’ve had a chance to read an unfortunately I am not exactly running to pick up the rest of her works. 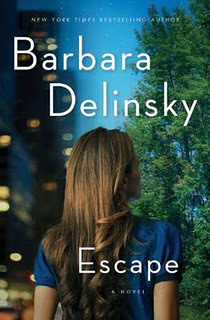 It makes me sad to write this but Escape is boring, plain and simple. I don’t recommend it at all. Once in a rare while I will randomly encounter a work of fiction that I know will affect my life forever. 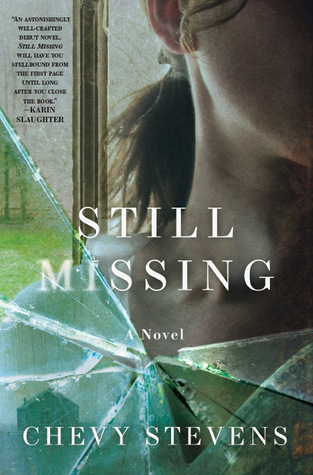 Room is one such book, Secret Daughter is another, and Still Missing by Chevy Stevens is now on that list as well. This is the story of Annie O’Sullivan: a 32-year-old realtor who is abducted while hosting an open house. Annie is taken to an isolated cabin by her abductor – whom she refers to as “The Freak” – where she is held captive for over a year. The reader knows, from the very beginning, that Annie survives the kidnapping because each chapter has her recounting the past to her therapist. Still Missing isn’t just about Annie’s abduction and subsequent captivity, however, but about her survival, and her re-entry into society. And as if that didn’t make this book spectacular enough, author Chevy Stevens throws in several unexpected twists that will no doubt surprise even the most seasoned suspense lover. Stevens handles a number of delicate subjects so honestly and realistically that one has to wonder where she pulled her remarkable insight from. The truth is it’s not easy to read some of the graphic, often horrific details of the abuse Annie endures, but in the same way it’s difficult to avert your eyes from a car crash, you simply won’t be able to stop reading this book because it is that engrossing. Bottom Line: Still Missing is spellbinding, fascinating, touching, and shocking. Find this book. Read it. And then wish – like me – that every book you read afterwards is as engaging as this one. The title and cover of this book are a bit too reminiscent of Danielle Steel to appeal to me. But since it’s Ramadan and I need all the distraction I can get, I decided to overlook these two strikes and I checked this book out from the library. Silver Girl is the story of Meredith – a woman dealing with the aftermath of her husband’s extensive Bernie Madoff-style crimes. With her assets seized, all communication with her sons at an SEC-mandated standstill, and her husband Freddy on his way to prison for 150 years, Meredith finds she has nobody else to turn to for help but her childhood friend Connie. Naturally, despite Meredith’s absence during the past few years as Connie dealt with her husband’s death from cancer, Connie still comes to Meredith’s rescue and she allows Meredith to accompany her to Nantucket where both women spend the summer attempting to recover from their own issues related to betrayal and loss. 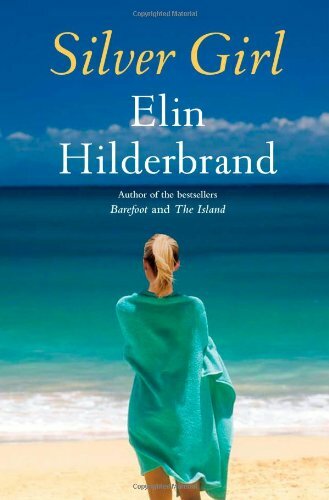 In some ways this is the typical formulaic Hilderbrand book: beautiful descriptions of the idyllic island, long-lost friends hashing out their differences, and the rekindling of first loves. But what fascinated me was Hilderbrand’s idea to address the aftermath of Freddy’s Ponzi scheme from a completely different point of view: the point of view of his wife. And thanks to the author’s ability to address the subject thoughtfully and carefully, I now have a newfound insight – and sympathy – into the lives of all of the victims of such crimes. Bottom Line: Sure this book is a fictionalized account of the realities of today’s Wall Street, but readers will be fascinated by the unique point of views, the timely subject matter, and the easy writing style. Even those who, unlike me, aren’t trying to pass time until they can eat again. If I had a dollar for every moment I’ve wasted time playing the “what if” game, I could retire rich and read fabulous books all day long. And how wonderful would that be? What if my father hadn’t been fortunate enough to escape India for America? Is it possible that I would have been born into poverty and lived a very different life? What if, when I was born, my dad decided he couldn’t afford a daughter and he left me at an orphanage? Where would I be now? Or, what if he’d found a clinic that performed gender identification ultrasounds? Is it possible that I wouldn’t exist at all? 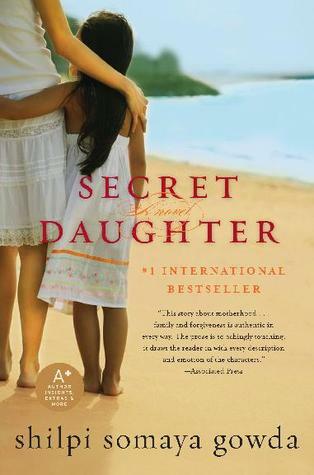 Secret Daughter explores many of life’s “what -ifs.” This is the story of two families who – due to both necessity and survival – make decisions that affect them for the rest of their lives. Author Gowda writes this book from several points of view, including those of a birth mother and an adoptive mother who have nothing in common except that they fight to love a daughter they’ve both won and lost. This story is also from the point of view of the daughter in question – Asha – who is pulled in so many directions and ultimately finds that what she was looking for was right under her nose the entire time. From the character driven chapter structure to the honest writing; from the admirable characters to the difficult life choices – this book is nothing short of phenomenal. The reader can’t help but be drawn to the characters as they battle their own demons and insecurities, as they struggle to relate and survive, and as they fight to hold on to what little they have. Most importantly, however, is the fact that the shocking plight of the people we pretend don’t exist will touch, fascinate, amaze, and inspire those of us who are fortunate enough to read this beautiful book. Bottom Line: The only thing wrong with this book is the fact that author Shilpi Somaya Gowda has set the bar so high with her debut novel that I fear nothing I write will ever come close. I still vividly recall the day the plane carrying JFK Jr., his wife, and his sister-in-law disappeared. I obviously didn’t know any of them, but I was especially upset to learn that Carolyn Bessette Kennedy – someone whom I’d always admired from afar – was taken away at such a young age. She was so beautiful and stylish, so polished and classy. She was exactly what I’ve always wanted to be. I recently learned (to my relief) that I am not the only person in this world who shares an obsession of all things Carolyn-related. And it is thanks to my friend Ayesha and our own little book club, that I recently finished the fantastic memoir: What Remains: A Memoir of Fate, Friendship, and Love . Initially I hesitated to pick up this book because I feared it would be a tabloid style “tell-all” a la Michael Bergin’s The Other Man : John F. Kennedy Jr., Carolyn Bessette, and Me . But to even mention these two books in the same paragraph is doing a complete disservice to author Carole Radziwill. Sure this book sold itself because of the author’s relationship with the Kennedy family, but one only has to read a few pages to become mesmerized by Radziwill’s eloquent and honest writing style. Readers will find themselves gripped by the story of a girl from Suffern who follows her dreams to become an award-winning TV producer and the wife of Jackie Kennedy’s nephew – Anthony Radziwill. Radziwill emanates realism as she describes her lengthy, often frustrating courtship with the man she eventually marries. She also handles every potentially offensive topic with grace and tact, even as she describes the aloofness and dysfunctional nature of the Kennedy clan. She doesn’t dramatize or embellish her relationship with JFK, Jr. or Carolyn, and portrays herself as anything but a hero as she becomes her husband’s biggest strength as he battles cancer. In short, Radziwill doesn’t claim to be anything she isn’t. Instead, the self-described outsider is just a regular person – relatable, human, honest, and most of all, admirable. Bottom Line: Even if you aren’t obsessed with the Kennedy’s as I am, this stunning memoir will alternately haunt and fascinate you.